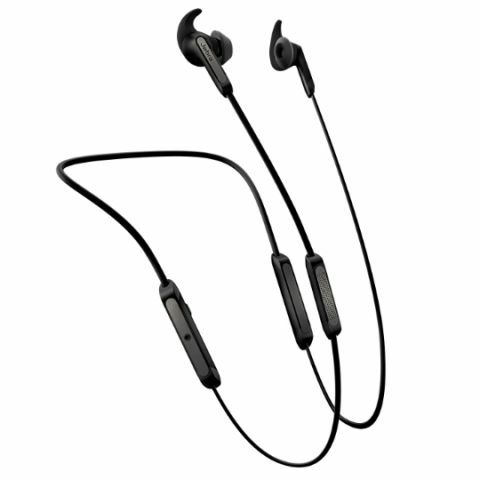 The Jabra headset is said to deliver up to 8 hours of audio playback on a single charge and it comes with a 2-year dust and water resistance warranty as well. Jabra has launched its latest Elite 45e neckband headset, which is priced at Rs 7,499. The earphones feature a "flexible memory wire" that is said to remember its shape and contours on the neck. It also features customisable EQ settings, which can be accessed via the Jabra Sound+ app, and is said to deliver up to 8 hours of battery life on a single charge. The device will be available for purchase from Amazon, the company's authorised retailers and Chroma from June 22. Jabra launches the Elite 45e, a soft neckband headset for users who want the best-combined voice and music experience with a discreet design, incorporating a flexible memory wire that remembers its shape and contours to the neck. The Jabra Elite 45e allows you to control music with customizable EQ settings and delivers up to 8 hours of battery on a single charge. The headset gives instant access to voice assistants like Alexa, Siri or Google Now for enhanced voice control. The Jabra Elite 45e is engineered to give users the best wireless calls and music experience and is part of Jabra’s newly launched Elite franchise. Wearers can make crystal-clear calls with advanced microphone technology that’s built to deliver best-in-class call performance. Jabra sound technology reduces noise from calls, ensuring that your own voice – and not the noise around you – is heard clearly. Using the Jabra Sound+ app you can truly make that sound your own with customizable equalizer profiles and settings. With up to 8 hours battery on a single charge, users have the freedom to make calls and listen to music; and with the battery built into a comfortable, ergonomically designed neckband, users are set for the duration. Jabra Elite 45e also features an IP54-rated design, and comes with a 2-year warranty against damage from water and dust.